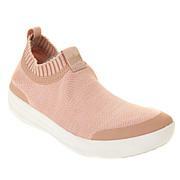 FitFlop reworked their popular F-Sporty sneaker into this light-as-a-feather slip-on featuring a one-piece knit upper. We're talking uber-soft, stretchy and breathable, with full-flex Anatomicush™ midsoles underneath for mindblowing comfort. So take the weight off your feet with a streamlined sneaker you just have to try. These are true to size at least for me. I purchased the 7 1/2 and fits perfect. I also have a wide width and still perfect. So lightweight, I love these shoes. I will purchase more. Very comfortable and soft. Can wear all day. Feels like socks. Theyre pretty too. I needed a slip on white sneaker, but was having trouble finding a style that I liked. Along came this pair of FitFlops. They feel like a dream on my foot. The arch is perfect and they look incredible. I just love them! I absolutely love the look of these shoes. The comfort is amazing as well. They run very true to size. I have more of a narrow fit, and fit me perfectly. I did go down a half size, but do a lot anyway. I go up on boots for socks. 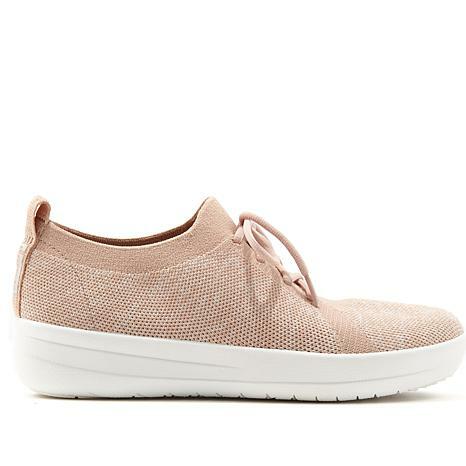 Sport the coolest kicks in town with this Anne Klein Takeoff sneaker. 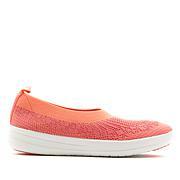 Functionality meets fashion in this adorable sneaker with a stretch upper and metallic sheen fabric. 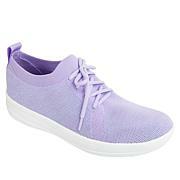 The cushioned sock and sport lite technology provide stability and flexibility, making this shoe extremely comfortable.